Kapow! 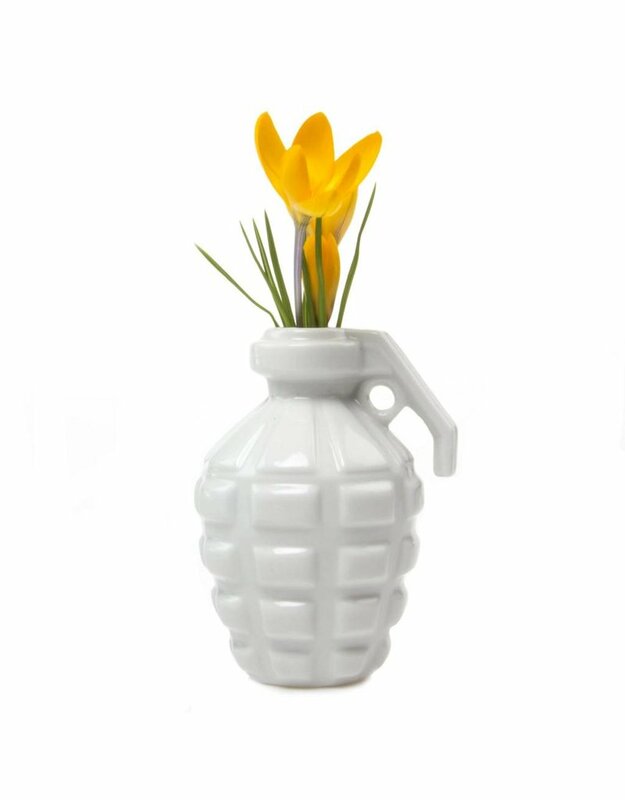 Subvert the ugliness of war with the beauty of nature. 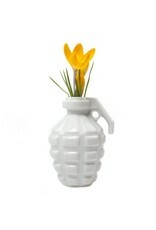 To balance out these porcelain grenades, we recommend delicate and elegant flowers. Heck, you could even use it to stash office supplies. 3" in diameter, 4.5" tall.